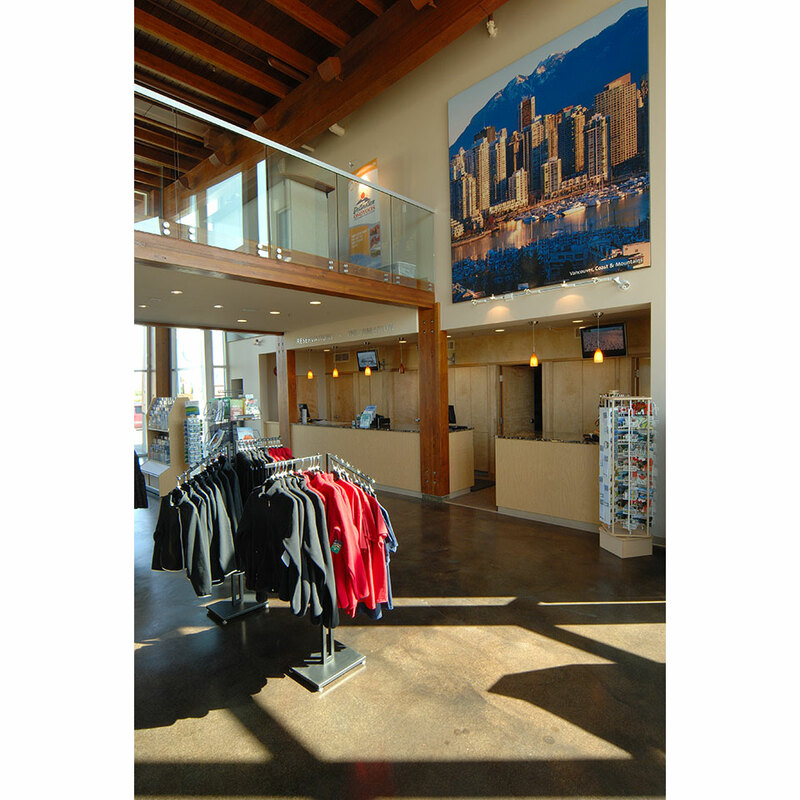 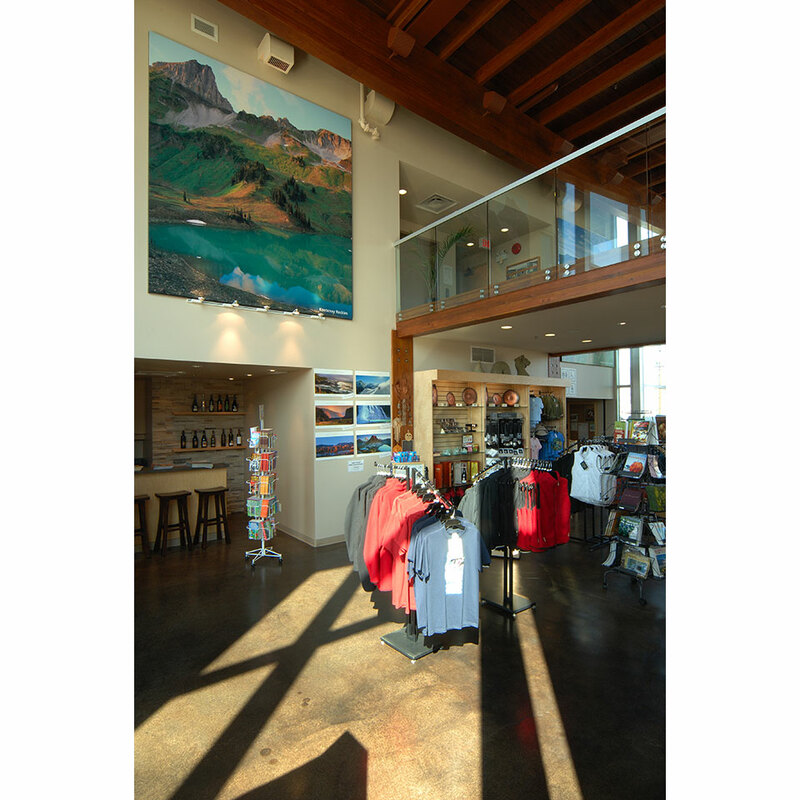 This 6,100-square-foot (plus 685-square-foot basement) tourist centre is located at the highest point of the property at the intersection of highways 97 and 3A. 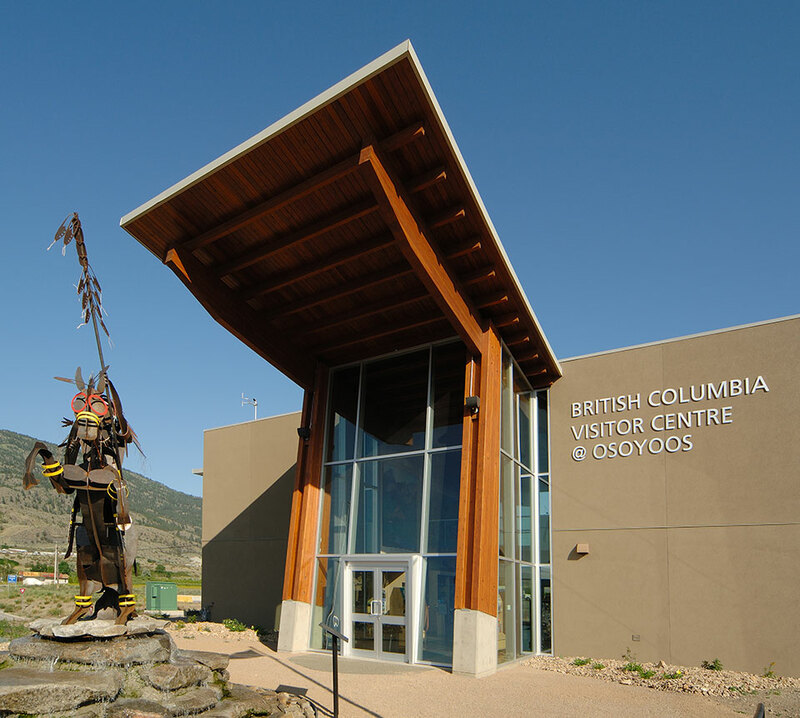 The building is made of wood and custom-manufactured wood products, and its shape was inspired by an Okanagan Nations pictograph. 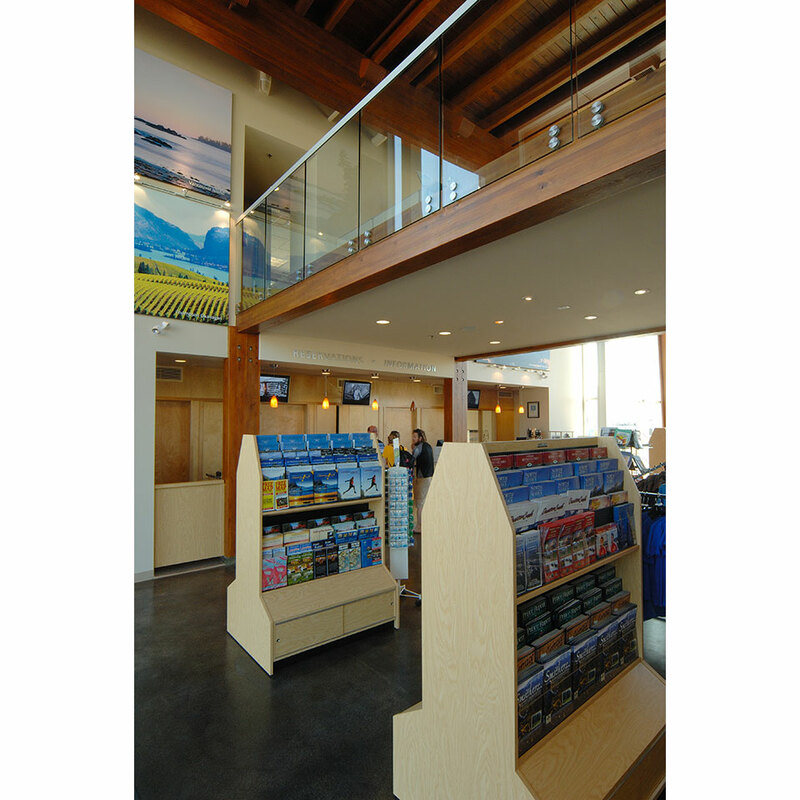 Expanses of glazed glass at each end of the central hall allow natural light to penetrate into the core of the building and at night, the uplighting of the ceiling makes the building a lighthouse to passing motorists. 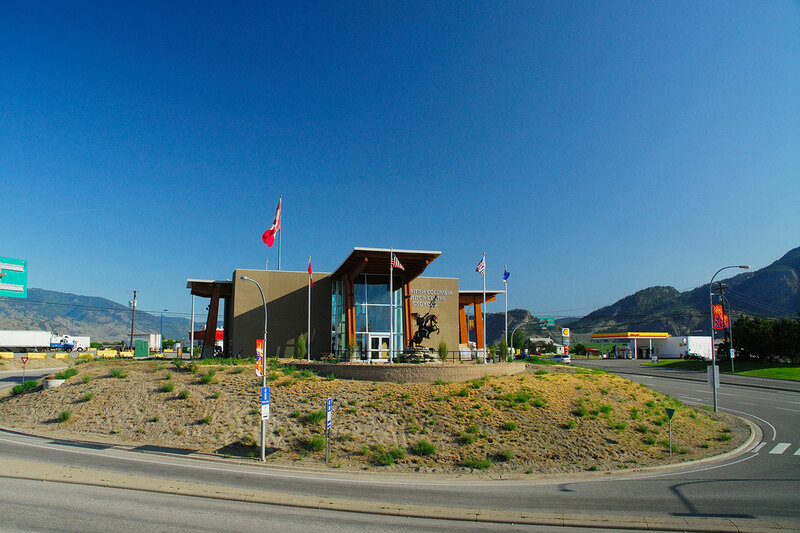 The building – which also houses the Osoyoos Economic Development Commission – was designed to meet LEED® Silver standards.